At RVS Solicitors, we work for both landlords and the owners of leaseholds (tenants) if a dispute surrounding service charges or ground rent develops. The issue of ground rent and services charges have been subject to a lot of media attention over the past 12 months. Many tenants are becoming frustrated with being locked into what they view as oppressive services charges and/or ground rent which increases by such a percentage every year, their home becomes practically unsalable. At RVS Solicitors, we work for both landlords and the owners of leaseholds (tenants) if a dispute surrounding service charges or ground rent develops. We can advise and represent clients in the First Tier Tribunal (Property Chamber); however, we are also highly experienced in alternative dispute resolution methods such as negotiations and mediation. These are generally more cost-effective than formal litigation and allow for win/win scenarios, providing a greater chance that the relationship between the parties can be preserved. Our firm specialises in private landlord and tenant law. And what sets us apart is our approach. We are pioneering a new generation of law firm; providing a modern, vibrant, digitally-based service, tailored to you and your specific legal needs. Because our service is predominantly digital, we minimise paperwork, preferring to use technology to streamline how we work and communicate with our clients. We put our clients at the centre of what we do; we are available, we value your time, and we ensure we understand your unique circumstances. If you own a freehold property, you own the land and the building outright. Those purchasing freehold are effectively tenants who have a long-term lease on the property. They can live in the premises and have a mortgage, but they may require their freeholder’s permission to make changes to their home and will have to pay ground rent and/or service charges. Nearly 20% of properties in England are leasehold, including 2.9 million leasehold flats. Both freeholders and leaseholders need to understand their rights and obligations, otherwise costly disputes can develop. RVS Solicitors are pioneering a new generation of law firm; providing a modern, vibrant, digitally-based service, tailored to you and your specific residential property legal needs. Our solicitors are specialists in residential property law matters. 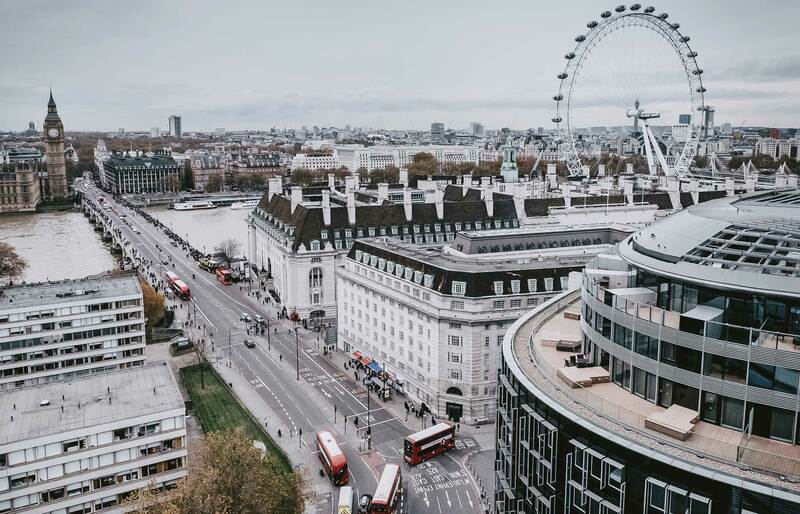 We represent residential landlords and estate agents in London and across the UK, some with a small volume of relatively modest rental properties, and many with an extensive and high-value portfolio. 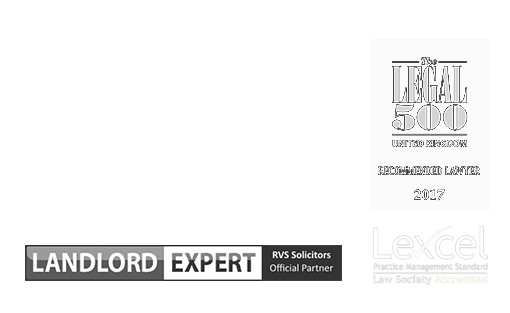 Regardless of the scale of your property portfolio, by engaging RVS Solicitors to handle your landlord matters, you can focus on the operation of your business, relaxed in the knowledge that we have you covered from a legal standpoint. What sets us apart is our approach. Because our service is predominantly digital, we minimise paperwork, preferring to use technology to streamline how we work and communicate with our clients. We put our clients at the centre of what we do; we are available, we value your time, and we take care to understand your unique circumstances. In the event of a dispute with a tenant, in the first instance, we are strong advocates of and highly skilled in mediation. We employ this method to find a way forward in a manner that represents your best interests, preserves your ongoing relationship and prevents the need for formal litigation if possible. Why have ground rent disputes suddenly become such a problem? In the past, leaseholders were charged a ‘peppercorn’ rent; sometimes as little as £1 per year (and half the time this was never collected). Freeholders made their money on the ‘marriage value’ if a leaseholder renewed their lease after it had less than 80 years to run, or due to the general increase in the property’s value. However, many new homes have been built and sold as leaseholds. Developers started to insert clauses into leasehold contracts where the ground rent was set at £200-£400 a year, doubling every ten years. This means some grounds rents can spiral to absurd levels in a matter of decades, making the property a very unattractive buy. It is estimated around 100,000 new homeowners have contracts which mean ground rents will become a huge burden in a few decades. Some freeholders are also charging large amounts for answering letters or giving permission to add extensions such as a conservatory or garage. Service charges are payable by the leaseholder to the landlord for all the services they provide, including maintenance and repairs, insurance of the building and, in some cases, provision of central heating, lifts, lighting, and cleaning of common areas. Service charges usually also include the costs of management, either by the landlord or by a professional managing agent. Details of what can and cannot be charged by the landlord, and the proportion of the charge to be paid by the individual leaseholder are all set out in the lease agreement. Our property law team will provide quick, expert advice, and representation to both landlords and tenants in bringing or defending disputes in the First Tier Tribunal (Property Chamber). However, it is important to bear in mind the cost of litigation, which can be high for the losing party if the court makes a cost award. To help our clients solve their disputes in a cost-effective way, we will always recommend trying alternative dispute resolution methods such as mediation and negotiation. There are times when early settlement cannot be achieved. If this occurs, we can instruct the best barristers to represent our clients at the Tribunal. In addition, because we are a digitally-based law firm, the speed and accuracy of our case preparation often far exceeds that of other more traditional firms. Aren’t there proposals to change the law around service charges and ground rent? The government is considering a proposed a ban on the future sale of houses as leasehold, especially in relations to new-builds, as well as cutting ground rents to zero. But serious questions remain about the future of people in existing contracts. In addition, such a move could seriously affect the ability of landlords to make a return on their investment, which could put the building of new homes, which are desperately needed, in jeopardy. Whether you are a landlord or leaseholder, talk to our team if you have a service charge or ground rent dispute. Our team is at the cutting-edge of the law and can swiftly advise you of your position and how to protect your best interests. To find out more about how we can advise and represent you on service charge and ground rent disputes, please contact our London office on 020 3870 2451 or complete our online enquiry form to make an appointment.